These special brushes (ABR) were created to reproduce the “screentone” technique, which is traditionally used for applying mechanical textures and shades to drawings, also known as an alternative to hatching. 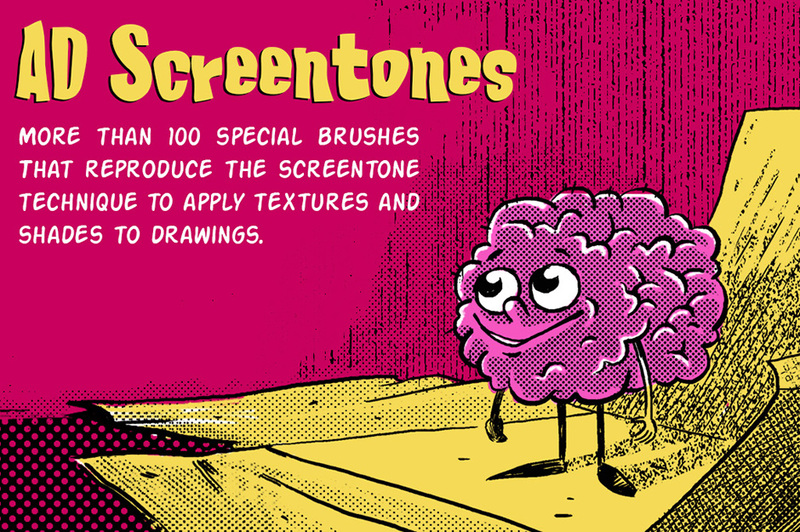 ‘AD Screentones’ isn’t just a collection but almost a factory of screentones. File size is approx 7.3MB (11.1MB unzipped), offered as a single download. Amazing collection of brushes with many applications! Fun, useful, and very well done! Thank you so much for your kind words! It’s great to hear you’re loving this product from Alex 🙂 We hope you enjoy working with it!